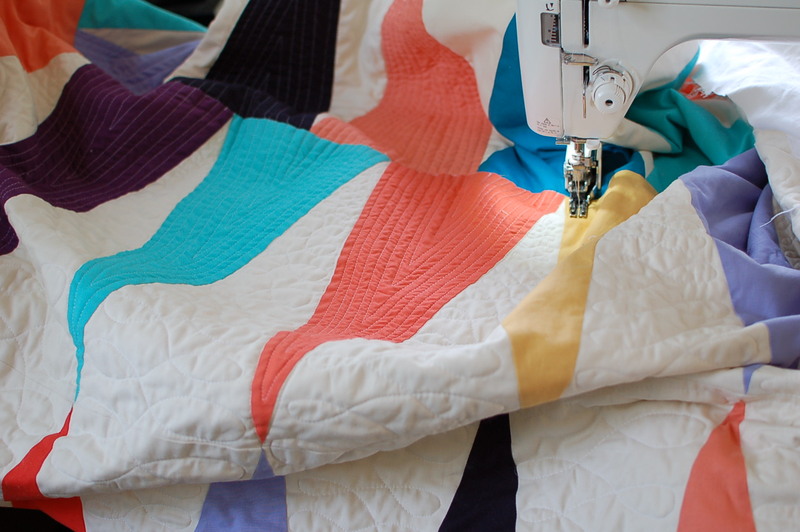 While it took me two sittings to finish the top, I knew the moment I designed a plan for the quilting that this would become a long-term project. It has taken me six sessions just to get this far. I still have a ways to go. While my machine is fast, my time is limited. I shake my fist at mid-Spring school vacation for sucking up my three hours a day/ three days a week of “spare” time. I’ll get there, though, slowly but surely. In the end, every stitch, every minute will have been worth it. So that’s what I’m working on today. What about you? What are you making?